In the last week of January, following the massive and historic Women’s March in which millions of people demanded reproductive rights, the House of Representatives passed H.R. 7., a bill that would essentially make abortion inaccessible for low-income women. As a reminder, H.R. 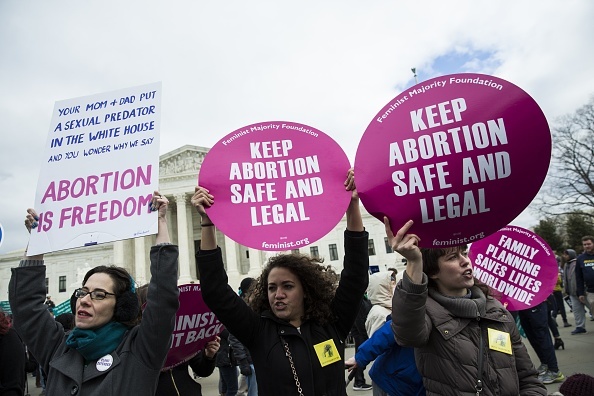 7 expands the restrictions created by the already-restrictive Hyde Amendment. Under that amendment, passed in 1976, taxpayer funding cannot cover abortion. H.R. 7 — or the “No Taxpayer Funding for Abortion and Abortion Insurance Full Disclosure Act of 2017” — extends that barrier even further by taking taxpayer funds away from insurance plans that cover abortion. Moreover, the multi-state insurance plans that had been established by the Affordable Care Act would no longer be allowed to cover abortion. That means millions of women would no longer have access to abortion coverage. And small businesses that offer non-ACA insurance plans would face tax penalties if those plans provide abortion coverage, which would likely encourage small business to no longer offer those plans. And that would likely encourage insurance plans to stop offering abortion coverage altogether. It essentially ends abortion access for non-wealthy women, without overturning Roe v. Wade. BREAKING: US House just passed HR7, which would prevent millions of women from using their health insurance to pay for #abortion care. I talked to Dr. Daniel Grossman, an OB/GYN and reproductive health researcher, and Khashae Jackson, an activist and college student who had an abortion, about the extreme harm caused by abortion funding bans. In the short amount of time that has passed since my conversations with Dr. Grossman and Khashae, it has been hard to keep up with what has transpired. A new Arkansas law and a newly introduced bill in Oklahoma add even more barriers. The newest Supreme Court Justice’s record on birth control is very concerning. The recently confirmed Attorney General, Senator Jeff Sessions, has voted to defund Planned Parenthood. Trump’s nominee for Secretary of Health and Human Services, Congressman Tom Price, is famously and aggressively anti-abortion. As we continue our fight to protect abortion access, it is more important than ever to be loud and informed about this fundamental human right. Dr. Daniel Grossman and Khashae Jackson shared their medical expertise and lived experiences, respectively, to help us fight back. First, I spoke to Dr. Grossman, OB/GYN and director of the reproductive health research institute, Advancing New Standards in Reproductive Health (ANSIRH). The institute is based out of the University of California, San Francisco, and studies how public health — specifically women’s health — is endangered by restrictive abortion access. Dr. Grossman elaborated on the horrific impact that HR7 would have on women, the surprising statistics about America’s abortion policies compared to other nations, and how we can help researchers and doctors stop abortion funding bans. 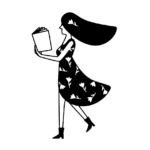 HelloGiggles: What is the mission of ANSIRH? Can you describe your role as the director? Daniel Grossman: We are a multidisciplinary group of researchers We come from fields of sociology, nursing, medicine, and law. And we do research primarily related to sexual and reproductive health. And much of our research also is related to policy and potential policy implications. I am a physician and OB/GYN. I provide clinical services at UCSF and also direct this research group. The focus of my work is primarily on access to abortion and contraception, as well as international health. HG: The House has now passed HR7, and we have already recently witnessed the devastating harm caused by abortion bans in places like Texas. In your research, what are some of the dangerous trends you’ve already noticed in women’s health as a direct result of abortion funding bans? In research that has looked at the factors that contribute to women [getting second trimester abortions] … one of the main factors is how it takes time to get funding together to pay for the procedure. And of course, the longer that it takes, the more delay that there is, and the more expensive that the procedure is later in pregnancy. Some of the research that we’ve done related to self-induced abortions in Texas and other places [finds that] one of the main reasons that women are pushed towards doing this is because of barriers in accessing care in a clinic. Certainly a major barrier that they face is the cost of care — the fact that they can’t access Medicaid funding to pay for the procedure really does create an important barrier. HG: The US recently scored a D in reproductive rights. Can you elaborate on how and why we are so behind other countries? DG: Particularly related to this issue around the use of public funding for abortion, we did some research that was published last year — a survey collecting data from all 80 countries in the world that have a liberal abortion law, where abortion is generally legal and available. And we found that the vast majority of these countries either provided full public funding for women to obtain abortion or at least provided partial funding. It was only 13 percent of the world’s female population that lives in countries with no funding for abortion, or funding for exceptional cases only. That’s only 21 countries of the 80. I think the [American] public oftentimes takes this for granted — it’s kind of always been the case that there is no public funding for abortion and that’s the way it should always be. But in fact, when we compare ourselves to other countries, particularly to other high income countries, the vast majority do provide public funding for abortion. Of the 40 high income countries, 31 of those provide full funding or partial funding — only 9 of them don’t provide any funding or just in exceptional cases. We’re really in the minority. 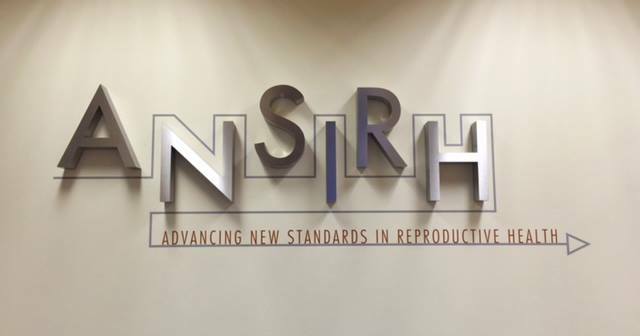 HG: If we are not scientists or physicians, how can we support ANSIRH’s research to help fight back against abortion funding bans? DG: Our research really only matters if it actually gets out there to the right people. Following us on Facebook and Twitter, sharing stuff we put out about our research so people can learn about it, keeping track of what we put up on our website — that’s a great way to help get our information out there. I think it’s gonna be really important as we hear all this talk about “alternative facts” in this new era. I think groups like us are going to play an important role in trying to get the actual true facts and evidence out there, and it would be great for people in the public to stand up for that and show how important that is. Certainly individuals that have resources and are actually able to give financial support to groups like us, or to other groups that do research — that is also needed. The reality is there are very few funders that support research related to abortion. Next, I spoke to Khashae Jackson, a pro-choice activist and student at Spelman College, a historically black all-women’s university in Atlanta, Georgia. HelloGiggles: What financial roadblocks did you experience when trying to get an abortion? Did you use insurance? Khashae Jackson: Considering that I am a college student, I wasn’t comfortable telling my parents — I’m under my mom’s insurance. I wasn’t comfortable telling them anything that was going on at the time. That kind of goes back to the fact that they hadn’t met my boyfriend. I didn’t want to be like “Hey, I have a boyfriend and also I’m pregnant.” It just wasn’t gonna work out. So I didn’t tell my parents, and I didn’t have the information for my insurance. And also, the only thing that we had was luck — at that time, my boyfriend had gotten his [tax] refund check, which was significantly greater than mine. And that’s the only way that we were able to pay for the abortion care that I received. But even then, I still wasn’t able to [fully] cover the cost of hospital visits or anything like that after the fact. HG: How did you know that abortion was the right choice for you? KJ: This all happened accidentally. It started when I had a blood clot in my leg. I switched my birth control…and that caused a blood clot in my leg and threatened my life. So I had to stop birth control. And although we were using protection, it’s more than obvious that protection can only go so far because I ended up pregnant. This all happened within three months of each other. One: My life being threatened. Two: Getting pregnant. Three: Having an abortion — it was just a lot. But one thing I knew for certain was that being pregnant in the first place was not a choice that I had made affirmatively. I wanted to do something that I was sure of because I had my entire future — academically, professionally — to think about first before I could be financially stable enough to take care of another person. Text "NOHR7" to 877-877 for a sample script and to be connected to your congressperson! HG: How did you get involved with the 1 in 3 Campaign? KJ: I actually got involved with the 1 in 3 Campaign because of this story. One of my friends who I confided in was involved with Advocates for Youth, and she knew the director who was heading the 1 in 3 campaign. She knew that she was recruiting for 1 in 3, for people to be advocates around campus. She knew that I had gone through this experience, so she asked if I would like to be a part of the fight for reproductive rights, considering that [I myself] had gone through something directly impacted by the reproductive rights available to people. That’s how I found out about it, and so ever since then, I have been very much involved on campus. I am currently trying to create an atmosphere here at Spelman College for more conversations about abortion rights and abortion access, because it is frankly something that is not being talked about — or even thought about — all that much on campus. It may be due to the respectability politics of this institution, or a bunch of other things — but the fact is we’re not talking about it, so there’s clear stigma there. And there are definitely students, faculty, staff who are going through this, because the whole point of 1 in 3 is to stress that 1 in 3 women have an abortion in their lifetime. So women that you encounter day by day either know someone or have gone through it themselves. So my activism on campus is really important to me considering how close to home it is, and how much we need it on campus. At the end of our conversation, I asked Khashae if she would be comfortable with me using her full name and mentioning where she attends college.